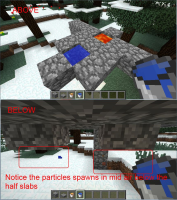 Water/lava drops particles spawn in mid air under top half slab. 3. Place water or lava source on top of the half slab.